Mandas Disney Blog: My Disney Side! 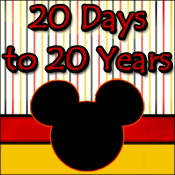 Welcome to those of you joining me from Picturing Disney and those of you just hopping aboard! I am the final stop on our Magical Blogorail! Hi everyone!! I'm SO excited to be a guest blogger for the Blue line this month! I can't wait to share with you ... My Disney Side! I've had the same problem as a number of other bloggers writing about this topic ... 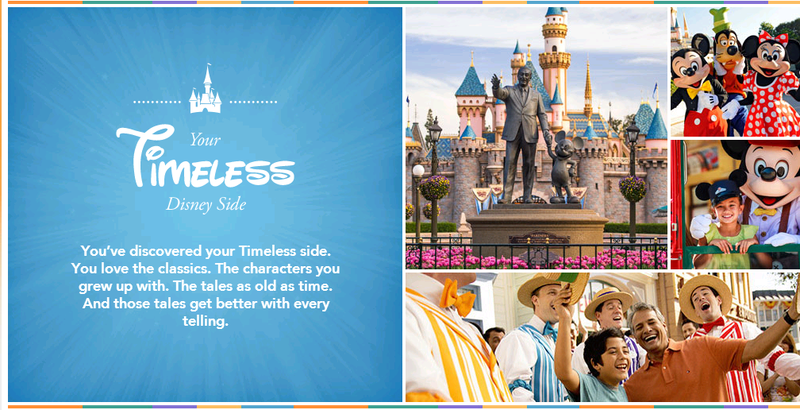 I'm a little confused by the term 'Disney Side' since I'm always in Disney mode! From my clothes to my home decor to my (sometimes questionable ... watch out for the sugar!) recipe choices ... even my music taste! 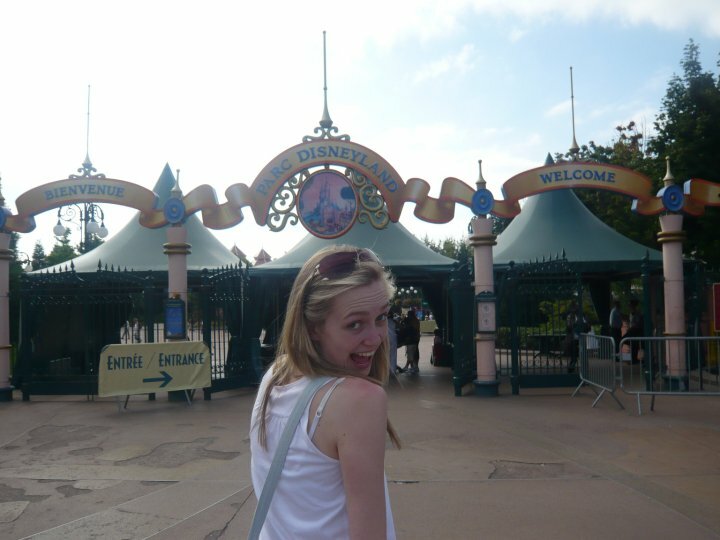 But I guess my Disney Side is at it's strongest when I visit my favourite place ... Disneyland Paris! As the Disney Side is defined, I laugh more, I scream more, and I live life to the fullest! I thought I'd see what my side is with the official Disney Side quiz! Here's my result! I'd say this is pretty accurate! Well done quiz makers! I DO love the classics ... Peter Pan is one of my favourites! I grew up during the Disney Renaissance ... give me Ariel, Aladdin and Simba anyday! A huge part of my Disney Side is made up of nostalgia ... my first visit to Disneyland Paris was in 1992 when it opened (shout out to my awesome parents for making that happen!). I didn't manage to get back until 2003! But boy did the memories from 1992 smack me right between the eyes! Everything that I loved about Disneyland Paris when I was younger ... I still loved ... and it brought out my Disney Side that runs around like a kid, waves at the princesses and gets ice cream all over my face! Thank you for joining Magical Blogorail Blue this month. We will be back on February 20th with an all new theme. Keep checking in with our blogs in between loops to keep up to date with our Disney news, photos and stories! If you are looking for more Disney magic, you can make your way over to The Magical Blogorail website to see all our members and their blogs, as well as all our previous loops! Hello Manda! Thank you for guest blogging, I think you knocked it right out of the park! I hope you'll consider staying on full time, it's great reading your stuff! I think you are right, Chicken Little and Enchanted are way under appreciated! I also think you are right that our DisneySide should show in everyday life, too! We have the same Disney Side! :) I think Enchanted is underrated too. I love the music. Thanks for joining us this month!! I love the skipping down Main Street. The one thing the whole "DisneySide" promo made me realize is that I act pretty much as Goofy, magical and happy at Disney. If I do it there, why not pay the pixie dust forward and share my #DisneySide everyday? You keep skipping Manda! (I bet you whistle down Main Street U.S.A. too. :D) Your Disney Side shows in every article you write, and every picture you post. Let it shine! When I finally make it over to Disneyland Paris, will you be my tour guide? I'm glad you were able to guest on BLUE this month and share your #DisneySide from across the pond! What fun! You have a great #DisneySide Manda!! I love to put a little Disney into everyday too!! Thank you Mike! :D You've given me the biggest cheese grin! :P Hope you have a wonderful day too! Thanks Melissa! :) The music IS wonderful! :D Thank you so much for having me! Yes, I agree! Chicken Little and Enchanted are definitely underrated! They are such great movies! I really enjoyed learning about your DisneySide. I've been know to break out into dance while on Main Street so we have a little something in common. Great post! Manda! 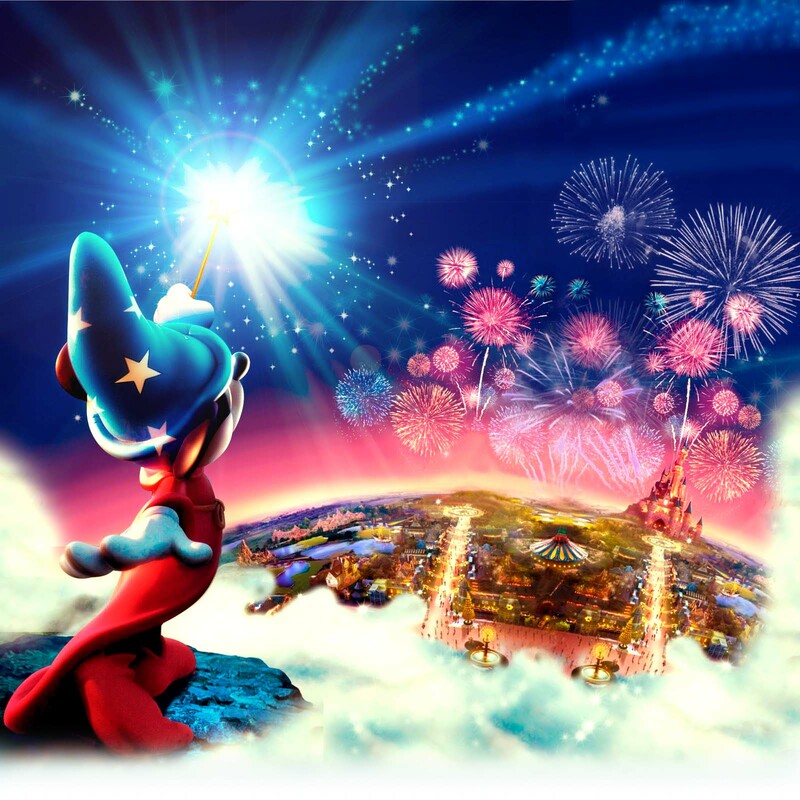 I miss you on my Magical Blogorail loop but I'm SO glad to see you guest blogging with us! Your #DisneySide is so much fun and I'm so glad it has brought us together through the past few years. Enchanted definitely got overlooked! I love that movie! So glad you shared your Disney Side with us this month! What fun! Love it! And am so jealous you get to skip down Disneyland Paris main street. I wish I could do it with you! I totally agree Enchanted is under-rated! I love your Disney Sides - all of them!! Thanks for joining us in Blue and sharing your Disney side - love getting the DLRP side of things - and it's great that you get to WDW every once in a while, too! I've only done WDW (frequently enough, but still) and hope to make some of the other parks around the world eventually! You're so right - no matter how long you've been away, the moment you walk through those gates, it's as if you've never left...yet there are always surprises waiting for you! Thanks for joining the MB for this loop!